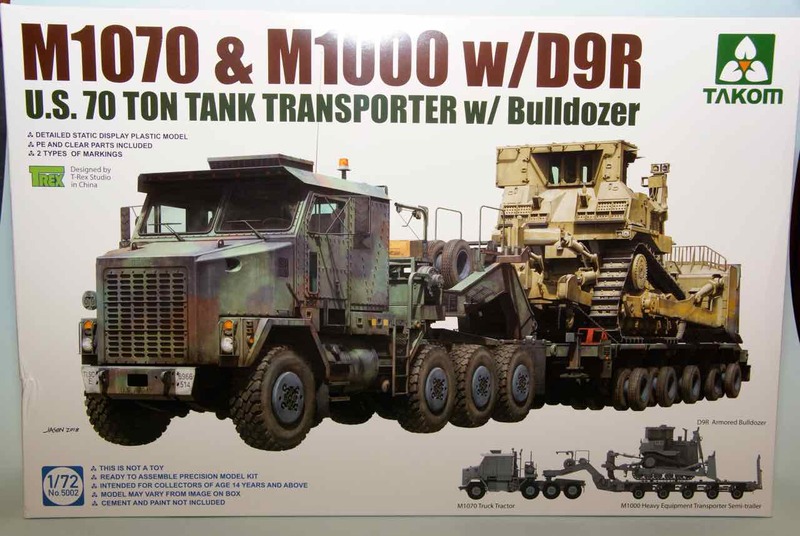 Armorama :: TAKOM M1070/M1000 & D9--anyone built one yet? TAKOM M1070/M1000 & D9--anyone built one yet? Ok, since it appears I'm out my first choice of a 1/35 M-19 with my Xmas money, I'm considering taking the plunge and buying the TAKOM M1070 w/ M1000 trailer & D9R bulldozer (got a gift certificate which is burning a hole in my pocket). Has anyone here built one yet? I've seen a couple of in-box reviews, which seem like it's a pretty good kit. Firstly, I'm not a braille scale armor modeler (I prefer my models in 1/35, although I have a couple of larger 1/72 Military kits--primarily artillery oriented). I've been fascinated with the looks of the M1070 since I first saw one in 1996. But, I'd like to know what I'm in for here-- I like complicated kits, but I also like to see detail in what I've built. It would be my first "modern" AFV-- as I prefer to work in the WWI/WWII-mid Cold War period. Anyone have any experience with this kit? Bump. Well, I guess no response means no one has any build experience yet? I guess it really doesn't matter much, since I pulled the trigger and ordered one. I guess I'm destined to start building some "braille scale" kits whether I like it or not! By the way, Sprue Brothers seems to have the best deal if you want one-- $51.99USD. I've seen them as high as $72 USD. Obviously Russ you aren't alone in your interest in this kit as there was just a thread started a few days ago similar this and it's at Takom M1070 Thread. As I stated in that thread, I also just ordered that kit and as I type this the postal tracking shows it's about 24 miles from me. If you feel ambitious you should start a BLOG thread as you tackle what I am hoping is going to be a "monster" (size wise)" of a kit. BTW, I've also suggested this course of action to the originator of the other thread on the topic. Almost too big for my normal photo area setup. The details, sent from Hobby Easy in Hong Kong on the 3rd of this month and arrived on the 9th(today) Cost listed as US$50.80. I unfortunately have a few outstanding projects/commitments at present also. Other than a few quick teaser images the best I might be able to do in the short term would be a better "In Box" review for the time being. Speaking of teasers, how about a few more to get your and other peoples "blood flowing"? What you get when you "pop the top"? The box is quite nicely filled. The instructions, decals and Photo-Etch come in their own resealable plastic bags. Oh, and just think, you'll have 42 little wheels for the trailer to keep you busy! 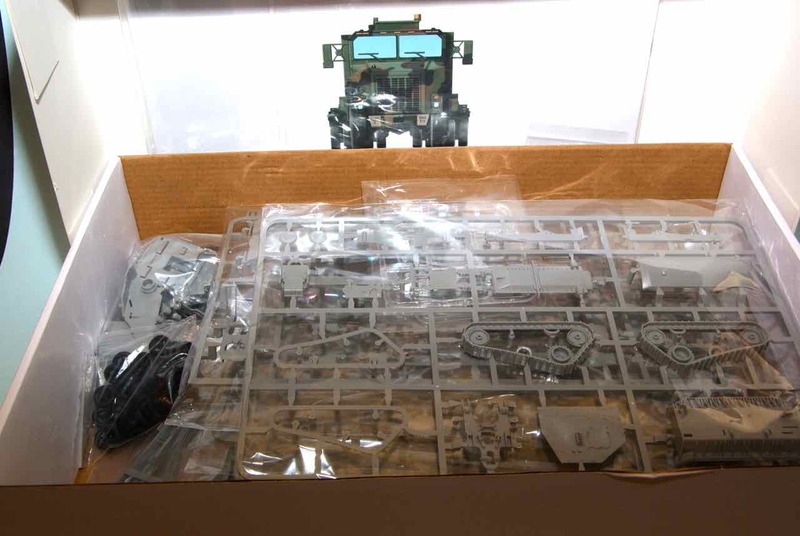 And, it appears all the plastic bags enclosing a sprue are resealable. Looks nice Jan, not even seen them on sale yet this side of the pond. Excuse me Jim but I have always dealt in the "One True Scale" which your types refer to as Braille and have NEVER reviewed or posted anything in LEGO scale or larger, thank you very much! Luciano, I haven't really looked at the kit to deeply yet but the detail on it from what I see is impressive. I haven't seen it available in my country but found it at Hobby Easy in Hong Kong for the equivalent of just over US$50.00. Cost was not the "big" issue for me-- space is the real issue. I actually live in a fairly large dwelling, with 2800 square feet, but I have limited display space, and there's something kind of attractive in displaying smaller models on a desktop rather than needing a picnic table! I have a Tamiya 1/35th Dragon Wagon, and a whole squadron of WnW two seaters, and even a Tamiya 1/32 scale Mosquito, Mustang and Zero, along with several dozen other 1/32 scale and 1/35 scale models, and a horde of 1/16th figures, but I'm running out of display space rapidly with all this large scale stuff. Lately, I've taken to giving my work away to my LHS for display just to make space. A 1/35 HET would need to be hung from the ceiling--that just wouldn't look right! P.S.-- I took the plunge this AM and bought an Academy 1/72 M-25 Dragon Wagon to display next to my new HET. 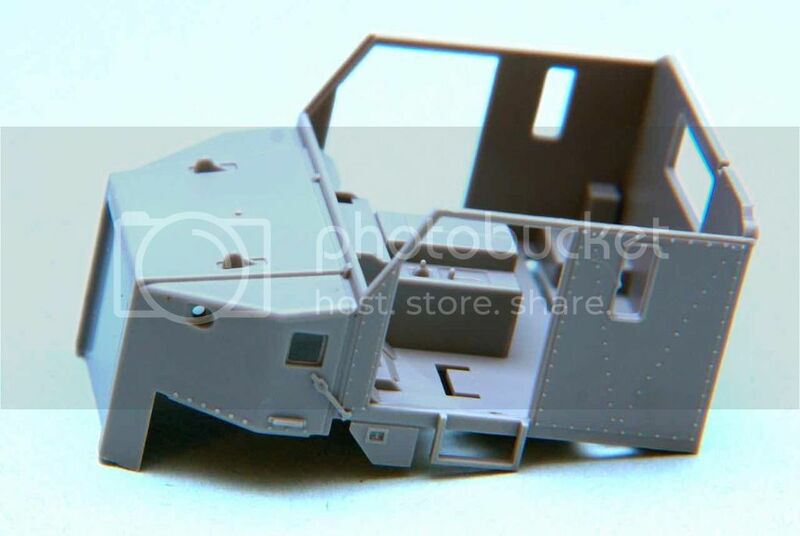 So I guess I'm committed now to some "braille scale" armored stuff (I have many 1/72 scale aircraft in my collection, but this 1/72 scale ground pounder stuff is new to me!) Now-- how to explain this to my better half?--"Downsizing"--so I need new kits maybe? Careful with the photos for reference in the last link-- the author states he has positioned the tow hooks on the ripper backwards (by accident evidently). ......I took the plunge this AM and bought an Academy 1/72 M-25 Dragon Wagon to display next to my new HET. So I guess I'm committed now to some "braille scale" armored stuff (I have many 1/72 scale aircraft in my collection, but this 1/72 scale ground pounder stuff is new to me!) Now-- how to explain this to my better half?--"Downsizing"--so I need new kits maybe? "Downsizing", now why didn't I think of that one, brilliant. Be careful Russ, Braille scale has an insidious way of growing on you and can be contagious to those that interact with you? Hmmm, a 1/72 Acadamey Dragon Wagon? I think that its started as guess what's also in my stash? Thanks for posting the link to that build on OSM. Maybe it's just the ticket to get some creative juices flowing? I actually have quite a stash of different scale kits, about a third are 1/72 scale aircraft. 12 years ago, I decided I'd "upscale" most of my 1/48 aircraft kits to 1/32 (if I could find the kits I wanted in 1/32 scale), at the same time downsizing my entire stash to about 200 kits (I started collecting kits in 1959, and ended up with about 2000 kits by 2002. I sold, traded or gave away most to get to the targeted and desired 200 kits. 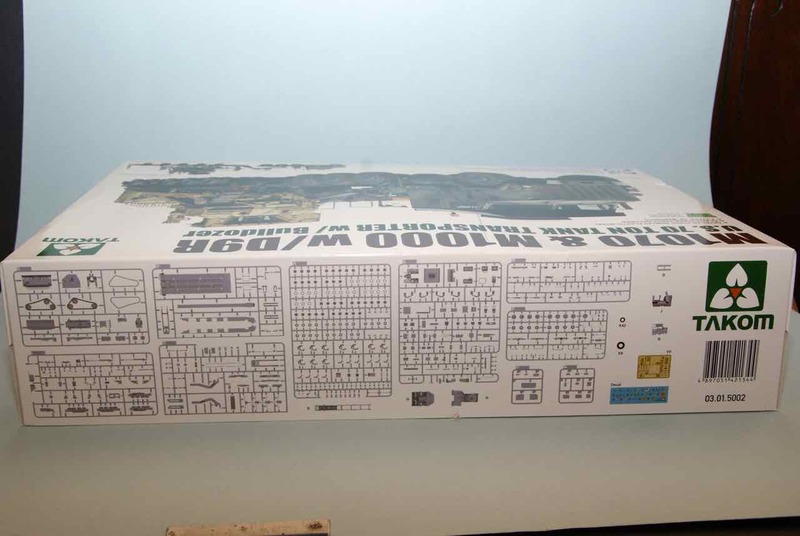 Now, I'm questioning the display size of much of my stash-- hence my interest in 1/72 kits of "big" subjects. I'm finding some of the larger vehicles and aircraft are more appealing in a smaller scale. However, eyesight is an issue-- although I'm nearsighted and always have been-- I take my glasses off to read and work where many others need "helpers" to see at close range. One drawback I've noticed in 1/72 scale is not the focal range, but the lighting, and last year, I realized if I was to continue small scale subjects (and even large scale subjects), I needed better illumination. So I invested in a 5000 Kelvin LED headlamp and a 5000K flexible-neck Ott Lamp--combined with my folding arm desk lamp, they make all the difference in 1/72 scale--so I'm good to go with convincing the wife I can continue to "downsize" by buying (and building) more small kits" (I hope anyway). Russ, on my part I am a proponent of using optical assistants (Optivisors etc) as I’ve always worn corrective lenses. Amongst other things my work areas use a combination of compact fluorescents and “natural light” LEDes on scissor action arms. Technology to the rescue? Perhaps you should persuade your significant other (S.O., spouse) to build and enter a model in a model show. I did that with mine and after her first few prize awards she was sold. Well, I was actually referring to the OP, I figured space was the big concern. Small scale is a good way to go for these transporters - certainly would have more motivation to build them! Good morning and Russ, "Do you know where your M1070 is yet?" Excited yet? I know you're in a different time zone so maybe they aren't delivering yet? Good Luck on it showing up today. UPS sent an update that it was "out for delivery". Should be arriving anytime! 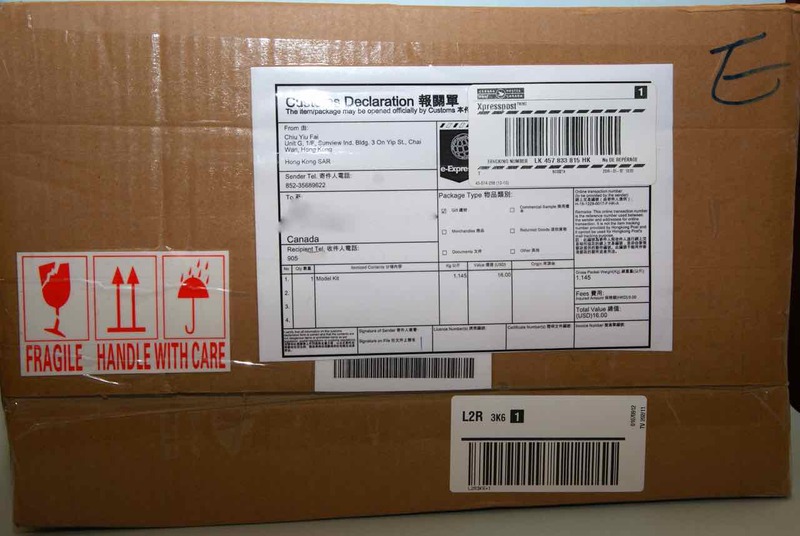 Well, I received mine from UPS at 1255 PST. It's pretty incredible the detail they can get into 1/72 scale these days! And what an incredible pile of wheels! Looks like the kit is everything expected. I won't be building it for a while yet though. 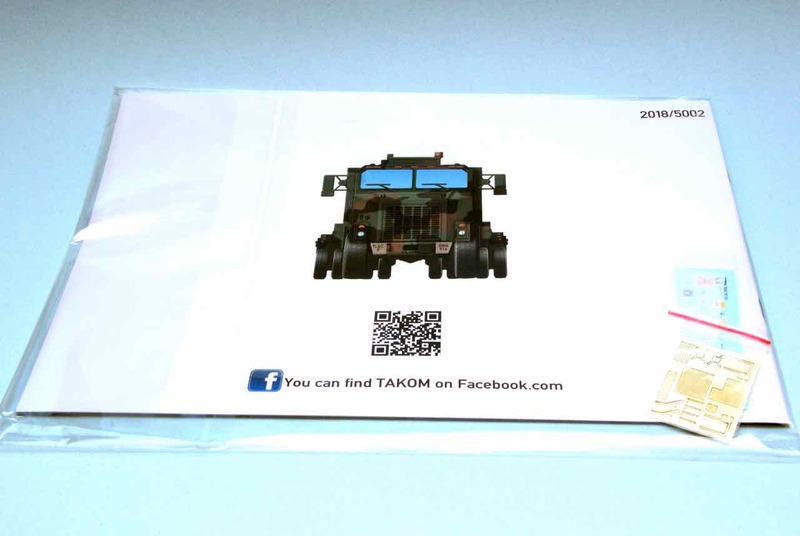 Along with the Takom order came another box containing an Academy 1/72 M25 Dragon Wagon ( from a different vendor). Interesting to get two HETs in the same day-- and the detail is also very impressive on the Academy kit. Congratulations Russ! 拾 You are now officially infected and a full fledged member of the illustrious order of small scale aficionados. That’s a heap-a-work waiting for you down the road. So "braille scale" or "one true scale" aficionados, I think I've been infected by whatever bug has bitten you. As mentioned above, I received my Takom M1070 and an Academy M25 Dragon Wagon via UPS on Friday. I've built 1/72 scale aircraft forever, but shied away from 1/72 vehicles mainly because of the detail (or lack thereof). 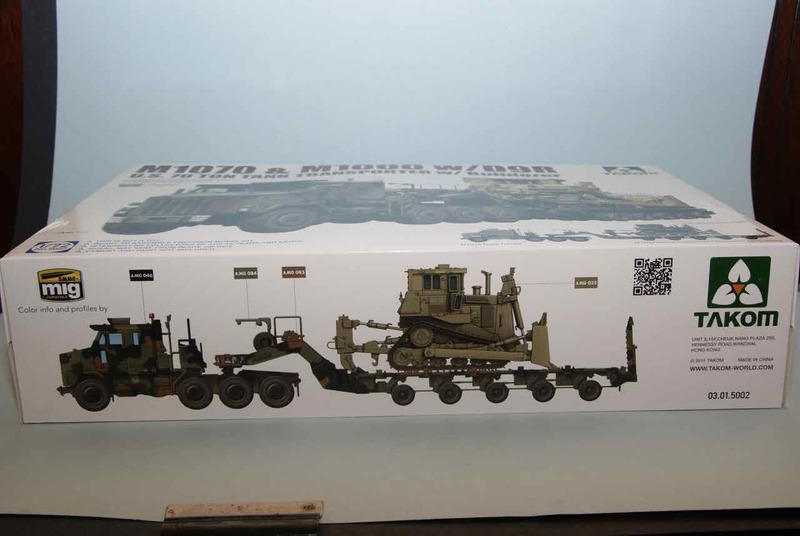 After looking at the Takom M1070 kit, I can honestly say it's really a work of art--at least in the box. I only had one issue, the diagonal window support on the driver's side of the cab was broken in my kit, likely the way it was packaged with the main body parts of the D9R--but its an easy fix. Other than that, this kit is really a marvel for 1/72 scale. A few years back, when I worked for a period after I retired in a LHS (everybody's dream job), I had access to all the Academy 1/72 kits, but didn't pay much attention. At that time, I opted for a Tamiya 1/35 scale Dragon Wagon, and passed on the 1/72 scale version, one reason was the lack of PE for the 1/72 kit-- Eduard had made a 1/72 scale PE set (with a complete armored cab, but it had been discontinued for some time. 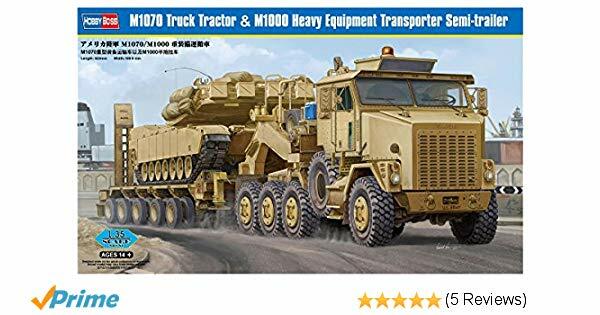 With this new M1070 release, a new PE set in 1/72 scale would be glorious. I asked Eduard if they thought they would re-issue their 1/72 Dragon Wagon PE set a few years back- and received a resounding NO. Maybe it's time to revisit these new 1/72 kit PE sets. Between Takom, Academy, ModelCollect, Dragon and Trumpeter, there are some very high quality 1/72 kits which could benefit from some nice PE. The Takom 1070 is nice, but the trailer mounted wheel chocks, levers, wheels and winch parts, along with a few other areas (cab and fenders maybe?) would look great in PE (although they look excellent now too). Ed, thanks. I mostly go for older earlyCold War or WWII subjects, the larger the engineering the better! It's difficult if not impossible to find Hauler, PART and Tetra aftermarket sets (in any scale) on this side of the "pond" (it almost seems most retailers prefer Eduard). I have yet to find a reliable retailer for those PE manufacturers, but I'm still looking. I haven't tried to order direct from them yet, have you? I'd be interested in any experiences doing so. Hi Russ - no, I haven't ordered direct from these companies or from US retailers. Just a quick note, I've been ordering from Hobby Easy in Hong Kong lately and not only have they been efficient but for some reason the items show up so far in about a week! I checked today and they do carry Part items and the prices don't look too bad. 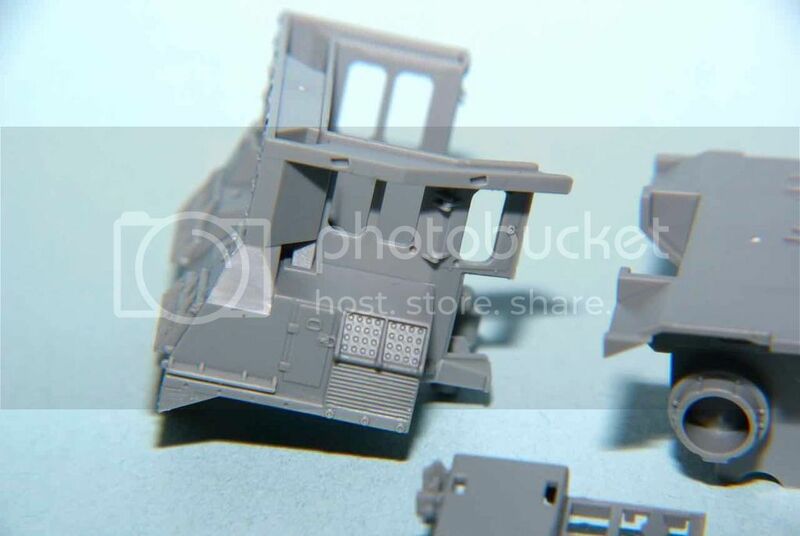 They have PE for Patriot trailers and HEMTT and also for 1/72 Aoshima kits including their tank transporter. They've got other PE manufacturers but I haven't really checked them out yet. Now if I may be a bit off topic, I'm trying the new "FREE" Photobucket since they've changed their management and lets see if it works. 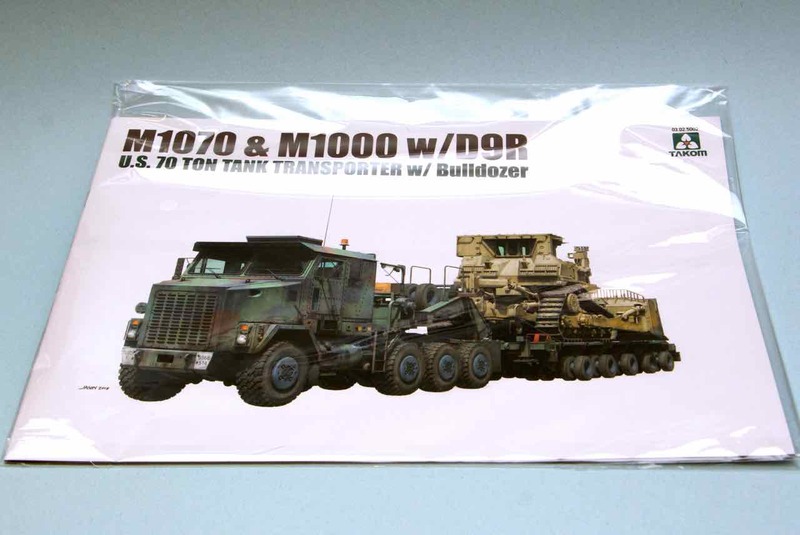 what should follow is an image for M1070 drivers side view. Lets see if it works and I did check mine and the items in that bag where it resides were all okay. EDIT: Since the image worked here's one more of the D9R to show some of its detail.